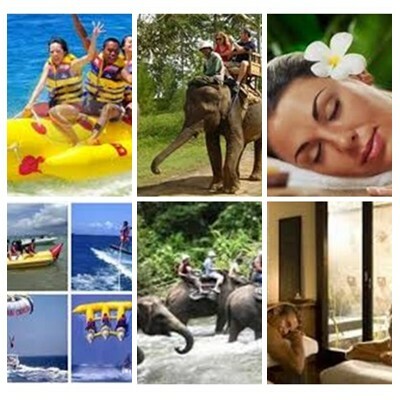 Bali Water Sports, Elephant Ride and Spa Tour is an Bali Triple Activities Tour Packages we created to enjoy the selection of Water Sports activity we offered, Riding an elephants and do Spa treatments Packages during your holiday in Bali islands. Enjoy the most popular activity in the islands of paradise, the tour packages offer you to enjoy the Parasailing, Flying Fish, Glass Bottom Boat and Turtle Islands Tour with professional instructor for your satisfied. 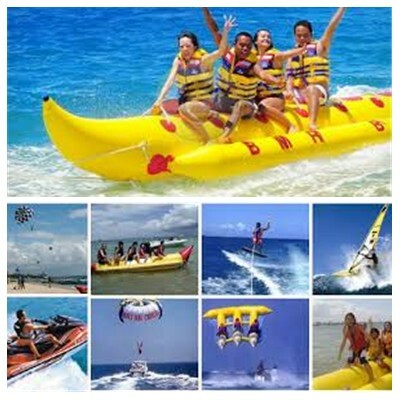 The water sports tour packages we offer is already do selection from the best and the most choices activity. 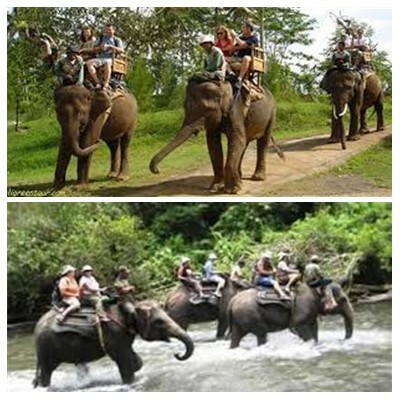 After the water sports we will go to restaurant for having delicious lunch with Indonesian Food, and then after finish lunch we will directly go to Elephant parks to enjoy the amazing journey riding an elephant with duration 30 minutes through the parks and jungle. After the Elephants ride finish we will direct go to the Spa provider for enjoy the spa treatments we offer after do the adventure. 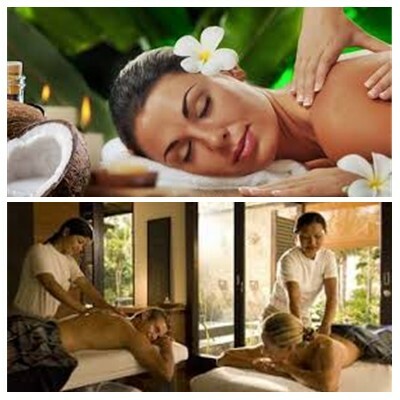 The Balinese massage will make your blood circulation run smoothly and the spa therapy will make your mind refresh and all the stressful is gone. After the spa we will drop you back to your hotel. 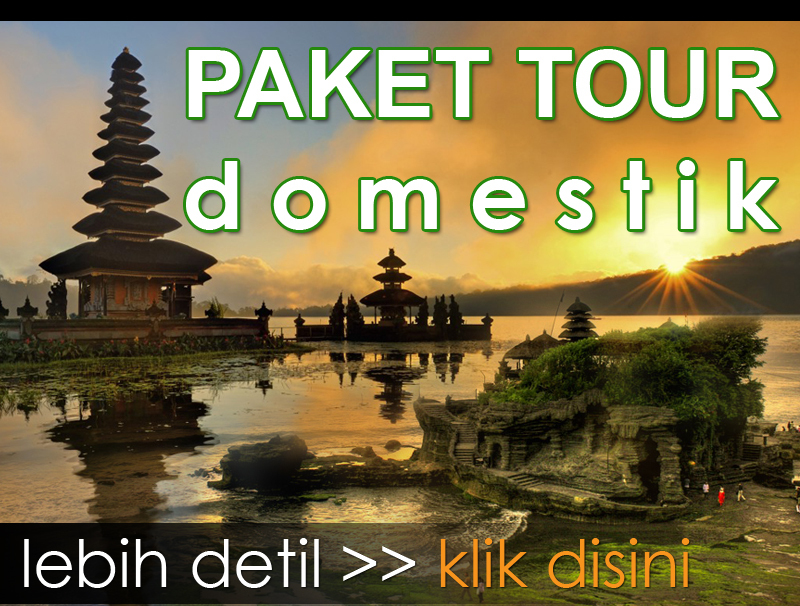 This Bali Water Sports, ATV Ride and Spa Tour will bring the wonderful memory for you and your family during your holiday in Bali islands, our friendly Bali Tour Driver will offer excellent Bali Tour Services to make you more convenient along with the comfortable Private Car.